A great career, but who in their right mind would start on the minimum wage? Boeing, one of the world’s largest aircraft manufacturers, estimates an additional 640,000 pilots will be needed worldwide over the next 20 years, 40 per cent of them in the Asia Pacific region. Air New Zealand has announced that it’s working on the issue behind the scenes with the Airline Pilots Association, and there is agreement that trainee pilots need better support and more funding. Despite this looming pilot shortage, a career as a pilot is very hard to sell and this indicated by a steady decline in New Zealand of commercial pilot licences issued by the CAA, down from 375 in 2012 to 230 last year. There are no figures available to tell how many of those 230 were foreign nationals who came to New Zealand to do their pilot training. One of the main barriers, of course, is the prohibitive cost of obtaining a professional licence. Try to explain to a school leaver that, if they invest $120,000 in training to achieve a CPL, MEIR, gas turbine rating, ATPL subjects and a C Cat instructor rating, their first job as a pilot is likely to pay them $16.50 an hour – the minimum wage. The usual reaction is: “Why would I want to work for that sort of money? It’s not even a living wage”. Anecdotally, there have been reports that as many as half of those who have taken this leap of faith to gain professional qualifications have been unable to find that first job to begin gaining hours and experience. Eventually they get disheartened, give up and move into other occupations. This is an enormous loss of human resources to the GA industry and the country. The New Zealand Air Line Pilots’ Association and John Murrie of Massey University School of Aviation are working together to gather data to better understand the influences, training and employment of New Zealand fixed wing pilot trainees who aimed to become professional pilots. 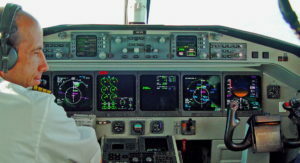 NZALPA will use the data in efforts to improve pilot career opportunities in New Zealand. John Murrie will use the data as part of his PhD study of the airline pilot career pathway and pilot supply. The survey will use data totals only and will not identify any individuals. This survey has now closed, and we hope to bring you the results of it soon.